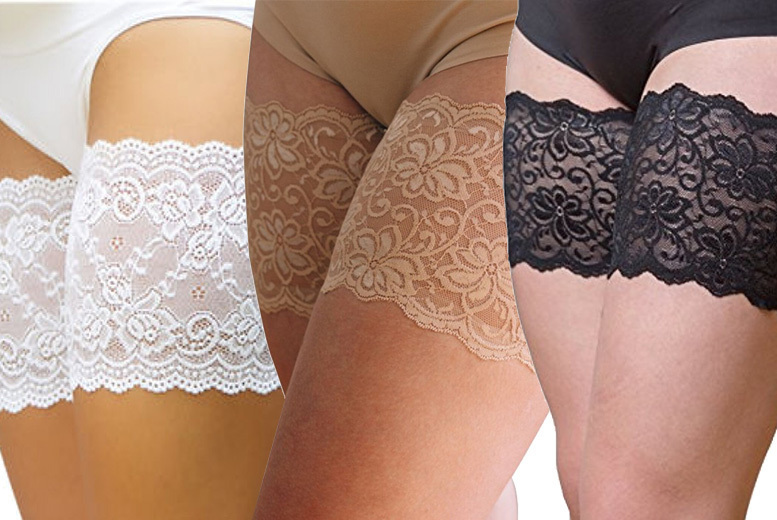 Get a pair of lace anti-chafing thigh bands! Comes in three sizes (see below). Available in beige, white and black. Perfect for the hot summer weather!